Andy Kay, Founder of Kay & Associates, talks about hiring and firing sub-contractors. Andy Kay goes in depth on a case that made national news, in this interview with talk show host Francie K. Kay talks about going through the case with his client, trying to find the truth, and ultimately proving his client innocent. Talk show host Francie Koehler interviews Andy Kay, founder of Kay and Associates, on-air about one his most recent controversial cases. Francie makes her way through the headlines and bylines to get the details about the story of a man wrongfully accused of threatening a mosque. "What is it like in the daily life of a PI?" Andy Kay gets real with the host and guests on a radio station in LA. Normally, he is the one asking questions, but in this instance, the tables got turned. I’m going to tell you a story about my client, Mark Feigin—a man who looked guilty but wasn’t. Mark was not an easy man to represent, as you’ll see. He found me through a Google search for a private investigator and called our firm, sounding off-center. He was accused of making threatening phone calls to a mosque. His house was raided. He was arrested at gunpoint by 21 officers and held on $80,000 bail. 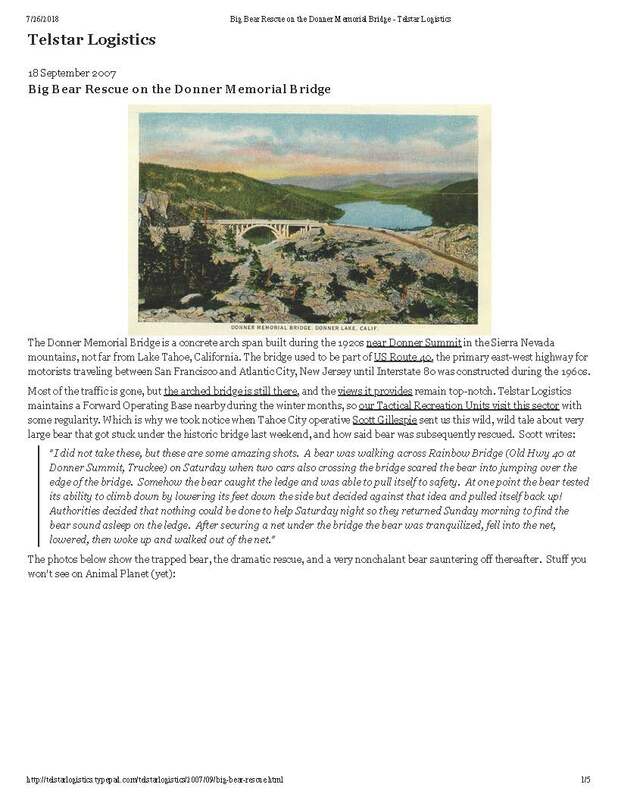 Early on morning while driving into the city, Andy Kay was passing over Donner Memorial Bridge when he saw a big bear hanging off of the edge by his claws. The news did a story on it, and even Ellen Degeneres got in on the happy outcome of the story by doing a show segment about the bear rescue. There were national news stories covering the insident...here was a local one.